Sinha, who was probing the FIR against Asthana, the CBI's number 2, and important cases like the PNB scam involving Nirav Modi, made a litany of sensational allegations in his petition before the Supreme Court that sought the urgent hearing for quashing his transfer to Nagpur. The internecine feud in the CBI turned murkier on Monday with a senior officer Manish Kumar Sinha dragging the names of NSA Ajit Doval, Union minister Haribhai Parthibhai Chaudhary and CVC K V Chowdhury over alleged attempts to interfere in the probe against CBI Special Director Rakesh Asthana, who has been divested of his duties and sent on leave along with his boss. 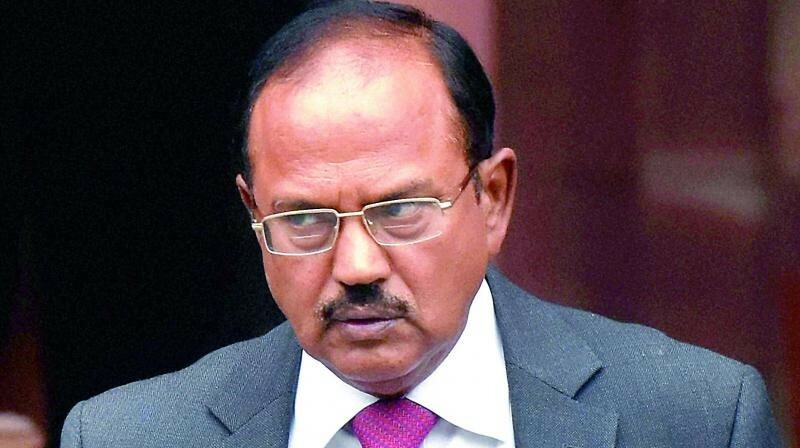 K V Chowdhury did not respond to queries when his reaction was sought while Doval, the National Security Advisor, was not immediately available for comments. An official in the minister's office said he was not aware of the matter. Advocate Sunil Fernandes, appearing for Sinha, informed a three-judge bench headed by Chief Justice Ranjan Gogoi that his client has "got some shocking revelations" in his petition and sought urgent listing and hearing on Tuesday along with the plea of CBI Director Alok Verma. "Nothing shocks us," the bench, also comprising Justices S K Kaul and K M Joseph, shot back, as it ruled out urgent hearing and asked Fernandes to be present in the court when it will hear Verma's plea challenging the government's decision to divest him of duties and sending him on leave. Sinha claimed that as a result of his transfer to Nagpur he has been taken out of the probe team investigating the FIR against Asthana. "The transfer is arbitrary, motivated and malafide, and was made solely with the purpose and intent to victimise the officer as the investigation revealed cogent evidence against certain powerful persons," he alleged. In his 34-page petition, Sinha, a 2000 batch IPS officer from Andhra Pradesh cadre, alleged that the CBI director briefed Doval on October 17 about registration of a case against Asthana. "Subsequently on the same night, it was informed that the NSA has informed Rakesh Asthana about registration of the FIR. It was informed that Rakesh Asthana reportedly made a request to the NSA that he should not be arrested," the petition said. Sinha, while supporting the affidavit of Deputy Superintendent of Police officer A K Bassi, who has also been transferred to Andaman and Nicobar Islands, claimed Bassi favoured immediate search of public servants involved in the bribery case (relating to Asthana) but the "Director CBI did not give immediate permission and reverted that the NSA has not permitted the same." 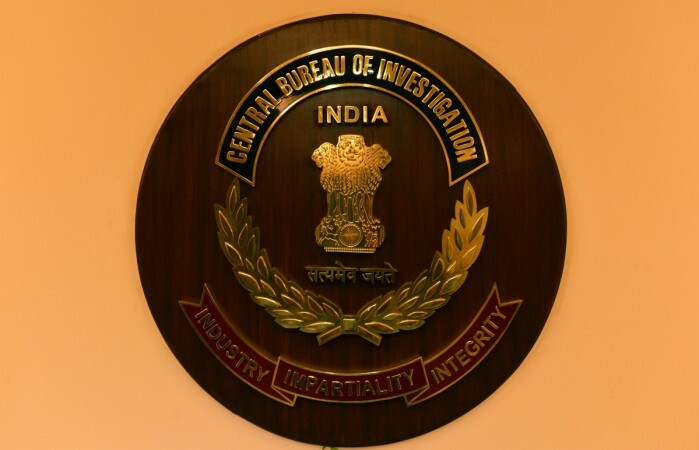 The CBI booked Asthana on allegations of receiving the bribe from an accused Manoj Prasad probed by him in a case linked to meat exporter Moin Qureshi. Sinha said during the interrogation of a middleman Manoj Prasad, who was arrested in the bribery case allegedly involving Asthana, the names of Doval and Samant Kumar Goel, Special Director of India's external intelligence agency (RAW) cropped up. "As per Manoj Prasad, Dineshwar Prasad, his father, retired as Joint Secretary and has the close acquaintance with Doval. This was one of the first things Manoj claimed on being brought to CBI HQ and expressed complete surprise and anger as to how CBI could pick him up, despite his close links with Doval," Sinha said. He said on October 20, searches were conducted at the residence and the office of Devender Kumar, DySP, CBI who was investigating the Moin Qureshi case. The reason for the searches was based on certain inputs provided by Special Unit, based on a legal interception. "While the search was on, a phone call was received from Director CBI instructing to stop the search. At that time, the applicant (Sinha) was sitting in the BSF&C office and asked the Director, to which the Director replied that this instruction has come from NSA Shri Doval," Sinha alleged. Sinha, in his plea, also alleged that Hyderabad-based businessman Sathish Babu Sana, who is the complainant in the case against Asthana, told during interrogation that sometime in the first fortnight of June 2018, a few crores of rupees were paid to Union minister Haribhai Parthibhai Chaudhary, at present Minister of State for coal. "As per Sana, Haribhai had intervened with the senior officers of CBI through the office of Minister of personnel...to whom apparently, the Director CBI reports to. The money was paid through one Vipul of Ahmedabad. These facts were disclosed to me by Sana on October 20 in the forenoon," Sinha said in his petition. Sinha, presently the DIG (Head of Branch) in CBI's Anti-Corruption Branch at Nagpur, also claimed Sana said that he met the Central Vigilance Commissioner K V Chowdhary along with one Gorantla Ramesh somewhere in Delhi and they discussed Moin Qureshi's case. "As per Sana, subsequently, Chowdhary called Asthana to his residence and made inquiries. Asthana informed to the CVC that there is not much in evidence against them. There is no illegality in this, but the same is put on record here for the sake of completeness. No verification was undertaken and the same is based on disclosure made by Sana," he said. Sinha also alleged that Union Law Secretary Suresh Chandra had contacted Sana while the proceedings were going on in the CVC against Alok Verma. Chandra rejected as fake the allegation.